Discover the rich art and architectural delights of Mexico City and the amazing Aztec archeological site of Teotihuacán, the largest city in pre-Columbian America. Travel to the revolution-era city of San Miguel de Allende to see Frida Khalo's lost etchings, and enjoy a hands-on class at the renowned Sazon Cooking School. Then, tour the colonial gems of Guanajuato and Morelia—both UNESCO World Heritage Sites—and Patzcuaro. Full of history, colorful markets and talented craftsmen, you'll visit ancient ruins, elegant cathedrals, traditional casas and museums with expert local guides who bring Mexico's colonial history to life. You are met upon arrival and escorted to your luxury boutique hotel. 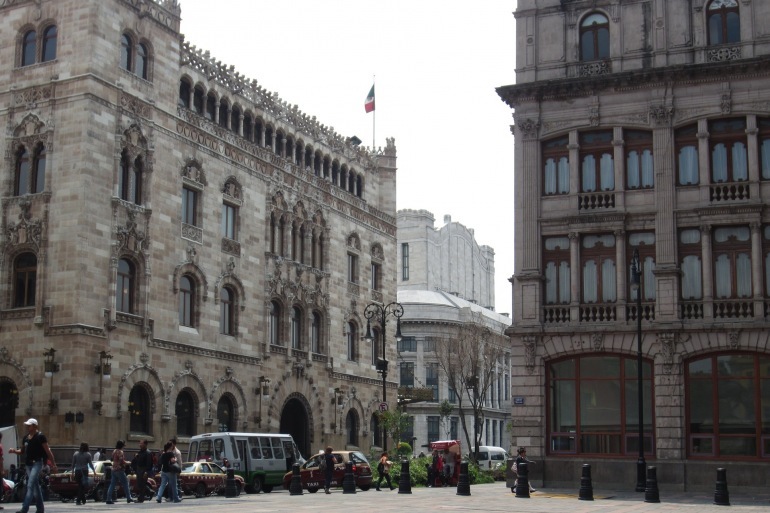 On Day 2, enjoy a morning city tour, the enormous Metropolitan Cathedral, and the Templo Mayor. Today, tour the archeological site of Teotihuacán. Visit the impressive Temple of Quetzalcóatl, the Avenue of the Dead, and the Sun and Moon Pyramids. Next, drive to San Miguel Allende. Visit the local market and take a hands-on cooking class. Enjoy an exclusive visit to the Fábrica La Aurora Art and Design Center, and an invitation-only tour of Bill Harris' jewelry workshop and gallery. It's a short drive to vibrant Guanajuato, the core of Mexico's rich colonial heritage. Your full-day tour includes a private visit to famed Majolic ceramicist Gorky Gonzalez's workshop. The city center of Morelia is a UNESCO World Heritage Site. Visit the dominant pink stone Morelia Cathedral, and in the afternoon, drive on to Pátzcuaro to spend one night at a traditional "casa" hotel. Explore the highland city of Pátzcuaro on Day 7. Visit the Basilica de Nuestra Señora de la Salud, and the Casa de los Once Patios, to watch a variety of artists working at their crafts. Enjoy a private visit with a master mask-maker and a Purpecha dance performance. On Day 8, explore some of the sites and villages that surround Lake Pátzcuaro including Tzintzuntzan, one of the few remaining archeological sites of the indigenous Purépecha people. On Day 9 you will be transferred to the Morelia airport for your flight home or on to your next destination. Las Alcobas, an aesthetic marvel designed by renowned power duo Yabu Pushelberg in the fashionable Polanco district of Mexico City, warmly welcomes an international business and leisure clientele. The upscale property provides premier in-room spa amenities and personalized services to guests, ensuring that their stay at this Mexico City hotel is not just comfortable but artfully enthralling. A masterfully designed hotel in Mexico City, formerly a residence, has been ingeniously crafted into a series of private home-away-from-homes expressed as intimate alcoves, reflecting its Spanish namesake Alcobas. At Las Alcobas, step into an artistic fusion of modernity and comfort for a definitive Mexico City hotel stay. Rest on sumptuous goose down bedding, bathe in sunken marble bath tubs and scented oils, and experience a refinement in hospitality. Experience Las Alcobas. The hotel has 37 deluxe rooms and suites, distributed among four mansions and the Casa del Parque, a few minutes walk away. The design of the accommodation follows the original architecture and so no two rooms are identical. Each of the rooms and suites has its own individual décor, each celebrating the spirit of San Miguel. Our rooms are characterized by the furnishings, art and antiques, exquisite fabrics, and richly colored Talavera-tiled bathrooms. Thirteen sumptuous and spacious suites distributed throughout the house offer a private indulgence and the peace and quiet we all seek when staying in a boutique hotel. High ceilings, large windows, wooden floors and elegant Roche Bobois furniture in warm, dark woods create an atmosphere of understated sophistication for the most discerning guests. Room service can provide you with a meal in the comfort and privacy of your suite. The marble bathrooms contain whirlpool tubs or steam baths, state-of-the-art Bang & Olufsen sound systems create the mood and oversize beds with soft, high-quality linen guarantee the perfect night's sleep. With fine art decorating the walls, these gracefully appointed rooms give the impression of being in a private mansion, yours to enjoy for the duration of your stay, and to return to, time and time again. Five rooms of elegance decorated with a splendid collection of Art. The combination of antique pieces of furniture and modern works of art give each of our guest rooms a particular character and a pleasant atmosphere. The exotica of plants and the serenity of the old stones make of the gardens and patios a refuge of pleasure. The warm welcome and friendly service of the hotel are part of the satisfactions that will allow you to fully enjoy your stay.